As people age, they begin to realize how many opportunities they’ve squandered over the years. Moments of regrets and “should haves” are not uncommon. Some are petty, like hobbies that weren’t pursued. Others are more profound—like failing to take steps to repair a broken relationship before someone you were once close to passed away. 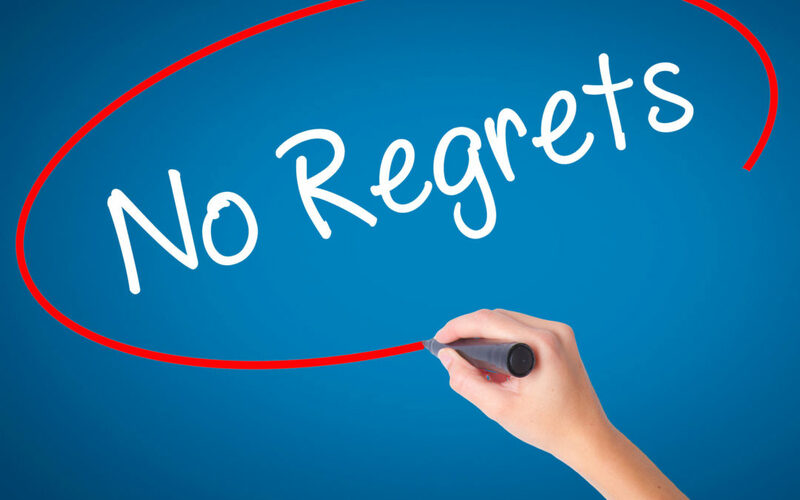 Experts believe feelings of regret are designed to impel us to action and help us follow through on making life-changing decisions. But as we get older and the opportunities for second chances diminish, these regrets can actually shorten our life spans by miring us in self-defeating thought patterns. Think of it like this: regrets are only helpful when they give us an opportunity to do something about the situation causing us sorrow. Once that opportunity has passed, regrets are like thought-poison. By failing to take control of those thoughts, we’ll face our final years with pervasive hopelessness. Living a fulfilled life in the moment is about empowering ourselves to focus on what we can do rather than what we cannot do.